Please allow our team of “Trusted Advisors” help you learn and decide which hot tub is best for you. 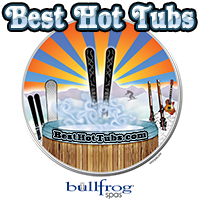 We will gladly compare and suggest the “Best” hot tub for you even if it is not our Bullfrog Spas Brand. Most people don’t know what to expect when they go shopping for hot tubs. Are they going to lock the door and go for our wallet? Is this going to be a high pressure “used car salesman” with a now or never sales pitch? Not at our stores. You can expect respectful courteous advisors who will listen to your needs and recommend a hot tub that fits your needs and budget. Our staff has been recognized as Rising Stars in the Hot Tub world. The Owner, Bill Renter, has been recognized as a talented outdoor living expert. We offer onsite consultations at your home. Deciding where and how your Bullfrog Spa should be installed is made by expert advisors. Our mission is to be a Hot Tub industry leader by providing the “Best hot tubs money can buy. These technological marvels come with a leakproof design, 90% less plumbing and “Best” in class energy efficiency. We promise to give the best and most pleasurable experience with your Bullfrog Spa. If we don’t Bill Renter (president) will personally make it right. Our talented design staff can create the Spa area of your dreams. Our trusted advisers can transform an ordinary space into a restful retreat in your own backyard. Bill Renter – Founder and President of Best Hot Tubs is know as a soft spoken, talented, landscape, pool and pond design professional. His passion is integrating Bullfrog Spas into unique and one of a kind decks, patios and outdoor lining spaces. A student of nature, as well as the fine points of outdoor living, his work offers multiple examples of hot tubs integrated with pool, pond, deck and patio projects. He loves the outdoors. In summer, he relaxes in his backyard, watching his kids playing in their hot tub, watching a baseball game while lounging in his hot tub, entertaining friends and hanging out near his outdoor fireplace on a cool evening. In winter, skiing with his friends and family in the Catskills, and relaxing in his Bullfrog Hot Tub after a day on the slopes. Mike graduated from Farmingdale State College in 2008 with a Business Management degree. He joined Best Hot Tubs in 2013 and became the Store Manager at the Farmingdale location. His outstanding customer service and sales helped Best Hot Tub become the number one dealer in the Northeast in 2015. Mike was also featured on the cover of Spa Retailer in November’s 2015 edition with Bill. Mike spends his time listening to music, exercising, traveling, spending time with his family and friends. In the summer time you can find him going to the beach or attending Mets games at Citi Field. Mike is a great communicator, problem solver and a good friend. Ashley started her career early. While attending high school in 2001 Ashley worked as a assistant bookkeeper. This is where she began the basics of accounting. Ashley’s passion for numbers and problems solving developed early on. In 2005 Ashley decided to begin pursing her career in accounting , she graduated Nassau Community College in 2007. Ashley joined the team at Best Hot Tubs in December 2012 as the Bookkeeper. Since then she has been dedicated and committed to helping Best Hot Tubs continue to grow. Ashley just became a new mom to her 2 young sons. When she is not hard work she enjoys tanning, being outdoors and playing with her 2 wonderful children! Jan has been with the Windham store since the beginning. Her eclectic background includes property management, water system preparation, and tour guiding. She even knows how to get a cow out of a tree. So, no matter your question she has an answer or suggestion, or knows who to ask, or where to look to find an answer. Anita has extensive management experience in the retail world. She brings her strong management skills to helping our customers get the best out of there hot tub experience. Anita is a lifelong horse woman, and is even a certified equine massage therapist. She brings her experience as riding instructor to her job helping our customers to understand the operation and care of their tubs. Dominic comes to us from England via New Jersey and the financial world. He has come to Windham with his wife and children to enjoy the mountains and rural life. Dominic divides his work time between Windham Best Tubs and real estate sales. I am extremely pleased doing business with Bill and his staff at Best Hot Tubs. The first sign of my good experience was their “low pressure” approach to making sure that you were well educated and informed about your choices for a spa. I did a lot of research and found that their level of knowledge of their product lines and competition allowed me to make a very well informed and productive decision in my choice of the Bullfrog Spa. It is in the area of Support where they really shine and makes the difference in WHO you buy from. Upon turning the spa on we had some challenges. The circuit breaker was consistently triggering. Bill and Dave spent considerable and diligent time helping to diagnose the problem and consistently provided me with the assurance that the Bullfrog Product was generally without issues. After careful diagnosis, Bill and Dave uncovered that the circuit breaker was not wired exactly to spec by the electrician and provided a path for remedy. When we moved the wired everything worked perfectly. The level of service I received from the two top people at this company went beyond the norm. Their attention to my challenges; the investment in time and energy; their expertise and diagnostic/service ability were all top notch. Most of all I found their level of caring for the customer to be something that is missing from most of the purchases we as consumers make today. Best Hot Tubs did an excellent job. I had an old Bullfrog hot tub and was looking to replace it (after 15 years!). Bill and his team were great!!! They delivered on time, did a very professional installation job and came by to make sure we knew how to use and care for the new hot tub. I would highly recommend them to anyone looking for a hot tub. And, by the way, Bullfrog is a great product. The jet packs are so easy to move around. My back thanks Bullfrog for their great product! The job I hired D&P for was to make my multi leveled narrow back yard a “pond” like pardise. Our requirements were a 16×36 pool, patio, diving rock, waterfall, firepit, slide and a separate Bullfrog Spa, which at first seemed impossible. This was not your typical installation. From day one Bill had the vision, put it to a plan, and did everything he could to explain how it would all work and it all came together. The first challenge was that there was no easy access to the back yard. We negotiated with my neighbor to allow us to use their yard to get to ours (at job completion, Bill built them a paver walkway which they are very happy with). Since trucks didn’t have access, they had to run dirt all the way from the back yard through the neighbors, then to the street. Bill’s vision was to raise the pool 2 feet above ground and build it to help mitigate the hill he was building into. He also used 28 tons of moss rock boulders to retain and make it look natural. There is stacked slate on the front pool wall and firepit to tie into existing patio walls. The separate Bullfrog Spa that Best Hot Tubs installed is a 6 seater which is also surrounded by moss rock boulders. To wrap it up, Bill installed the plants and landscaping. I asked for paradise and I got it. Bill and his project manager Dave really delivered quality products and came through for us. As with any large project in a difficult space, there are a lot of decisions to make and we did this pretty easily (I am not easy to please). And when there were any small issues, Bill and team addressed them professionally. If you looking to hire a professional team for a medium to large project, I would recommend them. We have worked with Best Hot Tubs for over 5 years on a variety of different projects with great success. They offer our standard outdoor living products as well as designing and installing custom projects. Bill and his team have been great to work with over the years and we are also looking forward to the next project! Solar Pool Enclosures of NY Inc.
We work with Deck and Patio Company on a lot of projects, and each completed project turns out beautiful. They are a pleasure to work with.